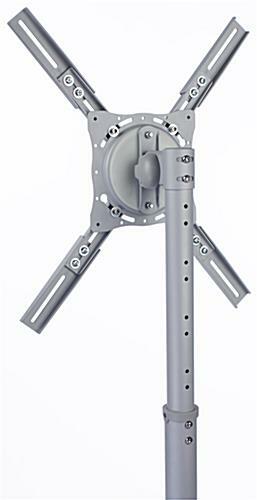 These flat panel mobile TV stands, similar to Plasma monitor racks, feature low price points to fit the advertising budget. 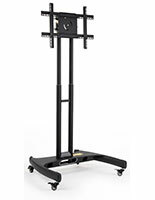 The LCD media carts are designed to function highly in many different locations. 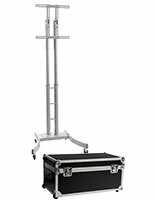 These portable mobile TV stands may be used in advertising campaigns to help showcase various videos or digital signage. 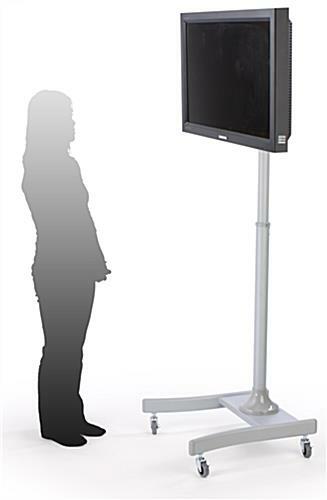 Many boardrooms and conference areas have the Plasma monitor racks for presentations and sales pitches. 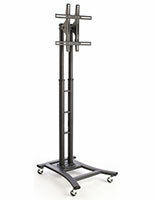 These commercial mobile TV stands have steel constructions, but are lightweight at 37 pounds. 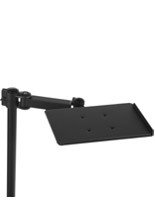 Users can quickly assemble the LCD media carts and attach the screen on the VESA compatible bracketing. 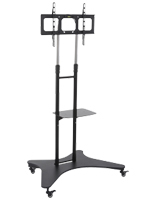 These flat panel mobile TV stands are designed for 27" to 60", so advertisers have a variety of choices when deciding the ideal dimensions of the monitor. 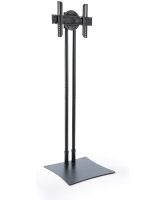 The Plasma monitor racks conceal all electrical wiring from the devices with a hollow post. 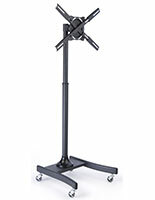 These portable mobile TV stands can meet most sightlines with a bracket that tilts 25°. The LCD media carts can present televisions horizontally or vertically to suit the content. 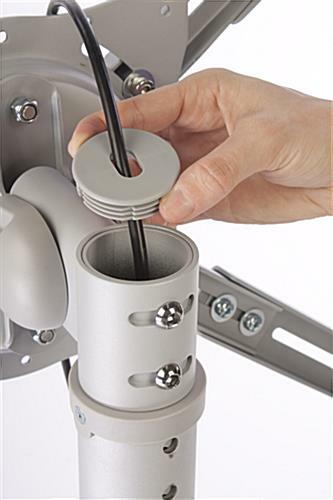 These commercial mobile TV stands only require users to undo the screws in the back for adjustments. Make sure audiences get the full effect with the Plasma monitor racks. These flat panel mobile TV stands, like the AV furniture on wheels, are great additions to lobbies trying to generate excitement. 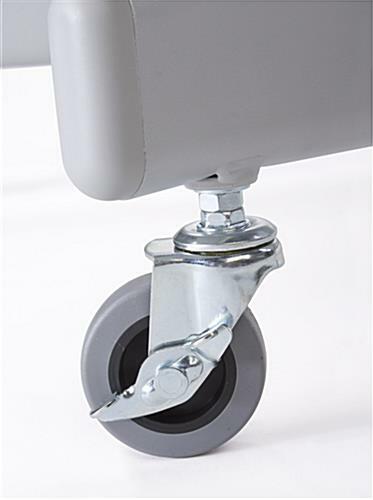 The locking casters at the base allow advertisers and marketers to place the Plasma monitor racks right in the middle of foot traffic without being moved. These mobile TV stands have silver finished exteriors to provide a modern appearance. The hue is quite attractive, but will not distract from the dynamic on screen content. 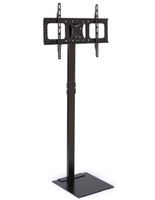 These mobile TV stands are very effective in many situations including hotels, conventions, financial institutions, retail stores, homes, and more! When finished advertising, the AV furniture knocks down to compact pieces for easy storing.